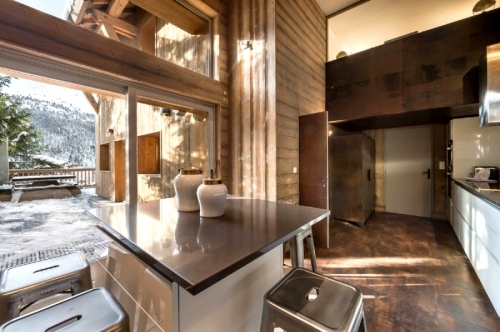 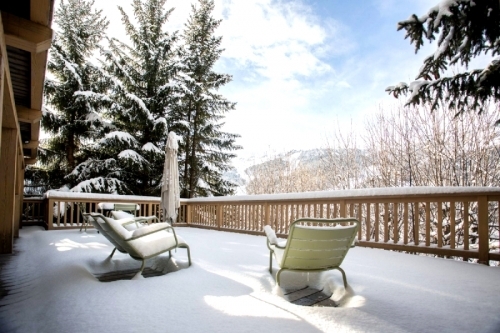 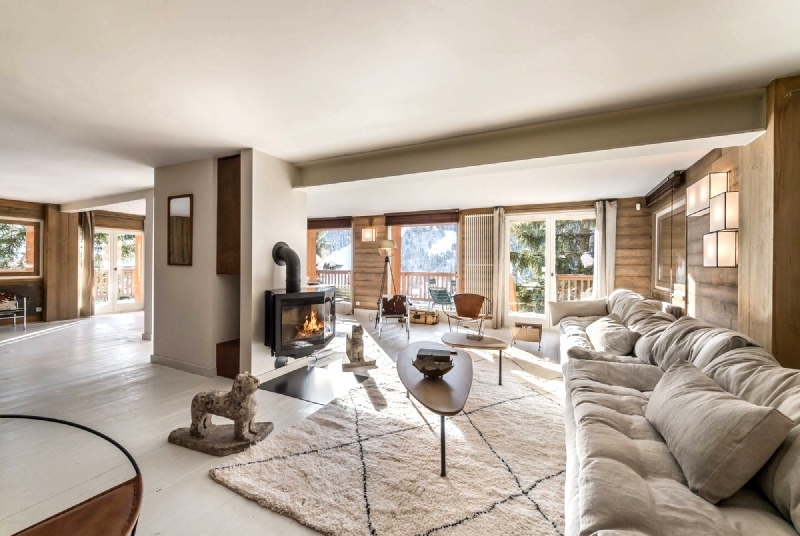 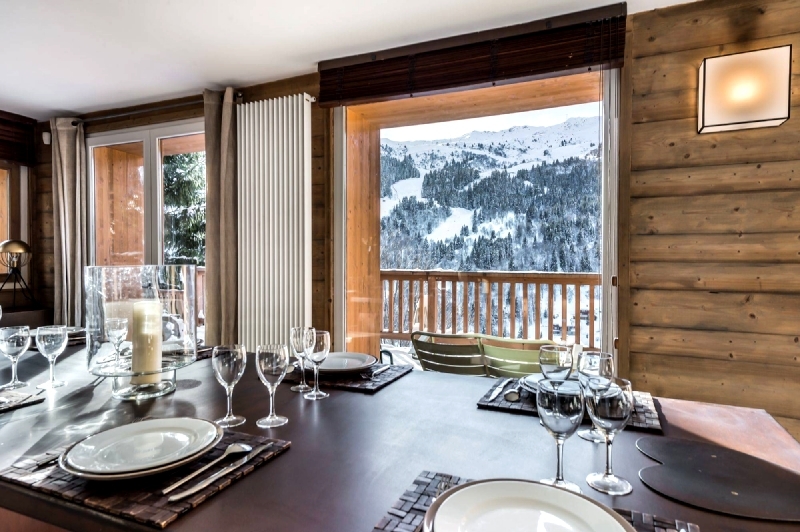 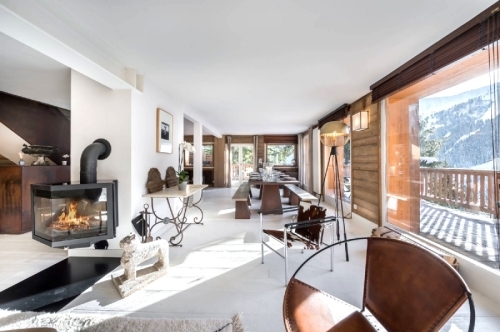 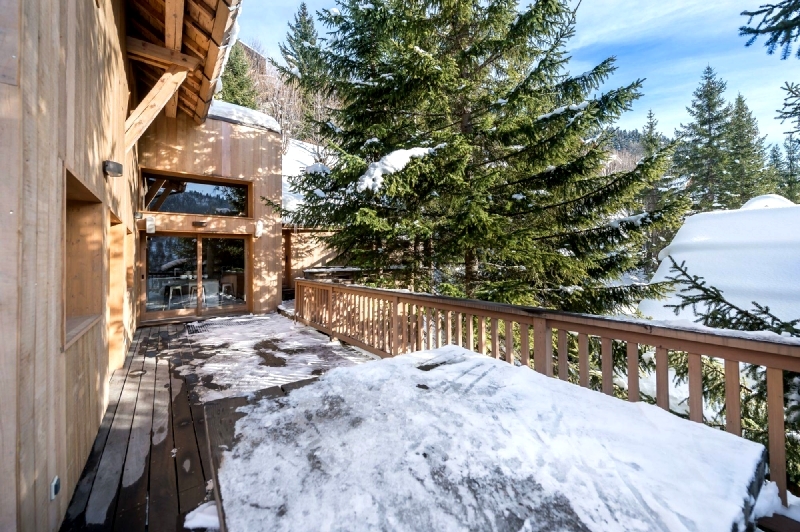 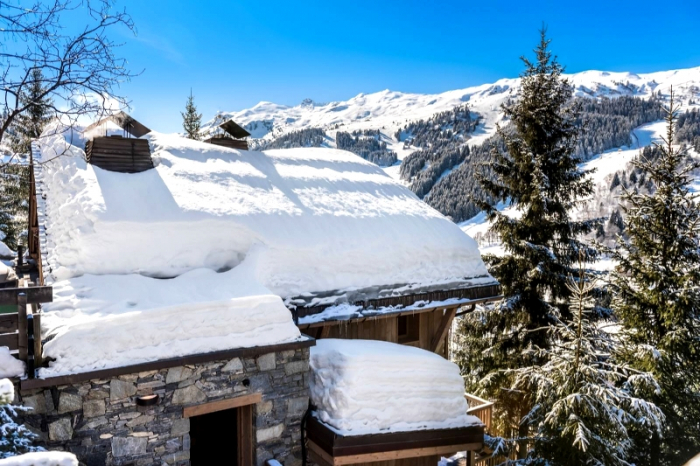 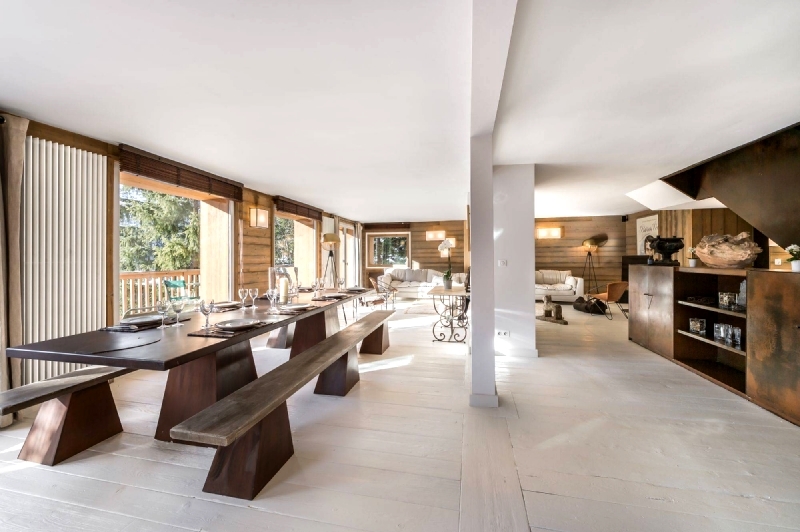 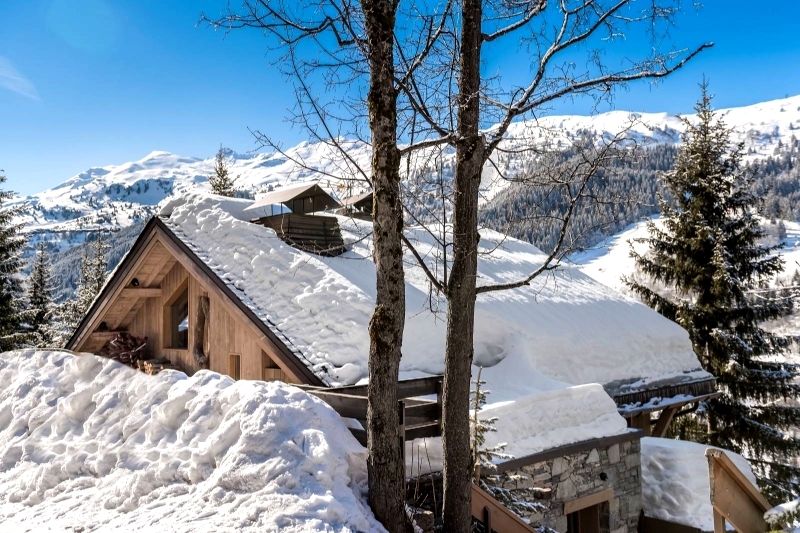 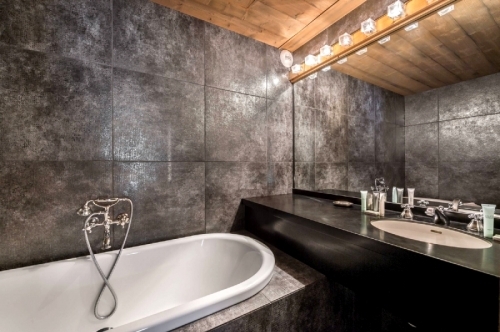 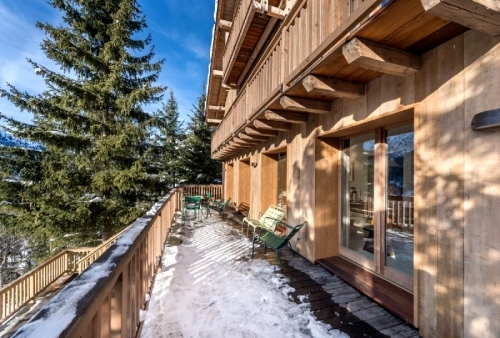 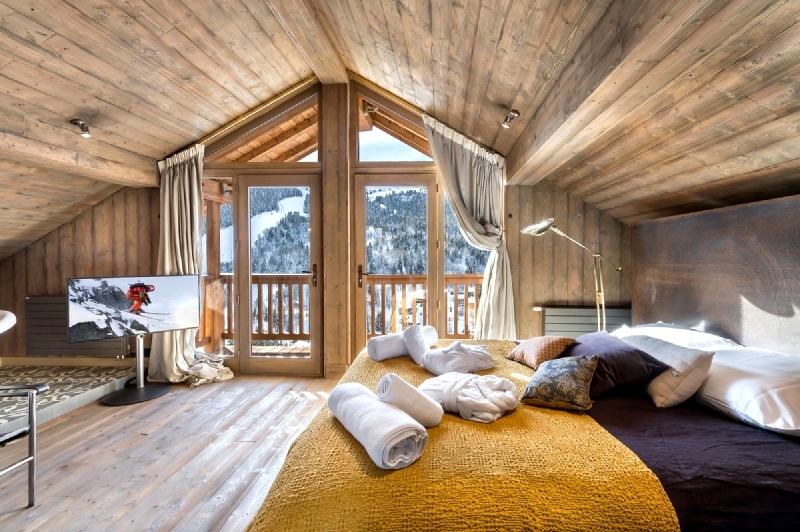 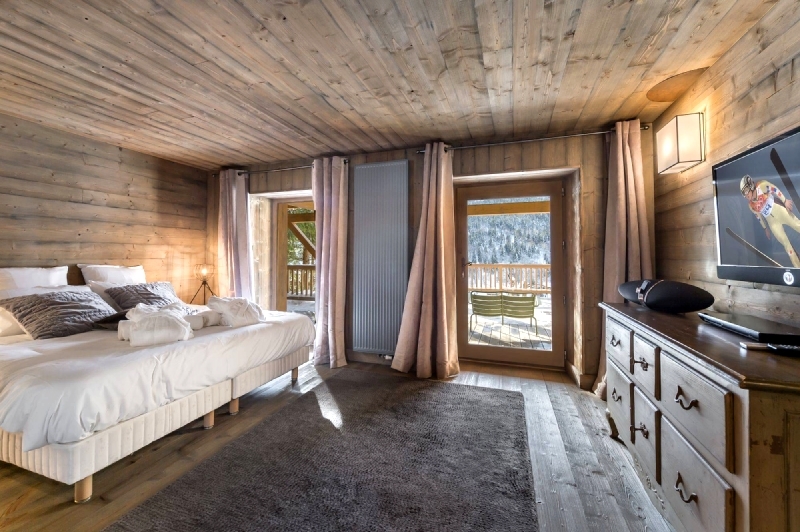 This light spacious and chic luxury chalet is well located in a peaceful area just 450 metres from the centre of Méribel and only 250 metres from the ski slopes. 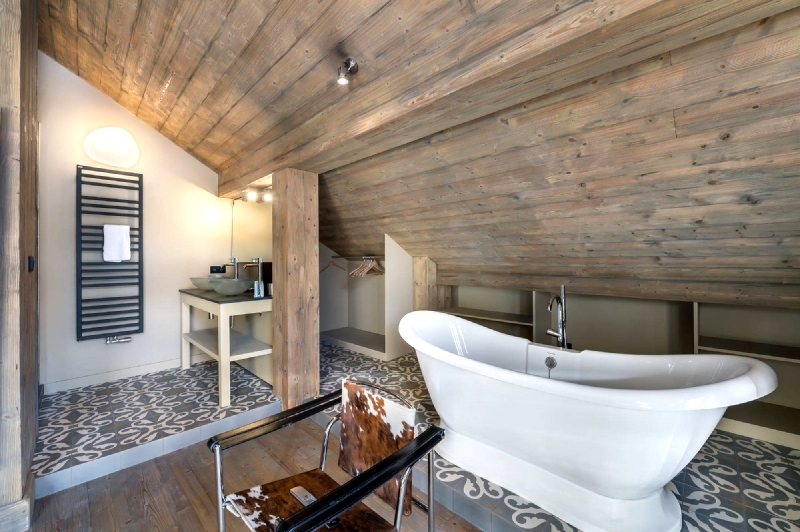 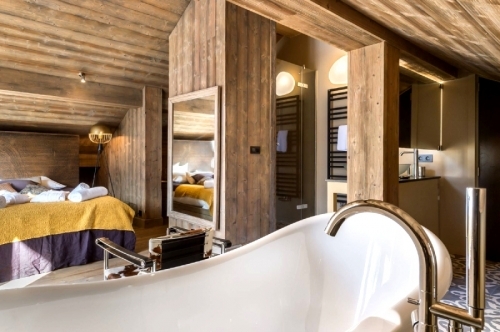 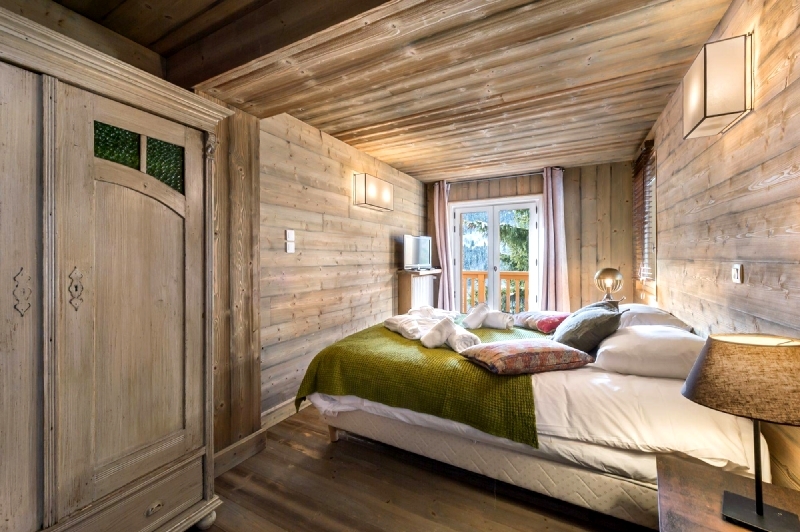 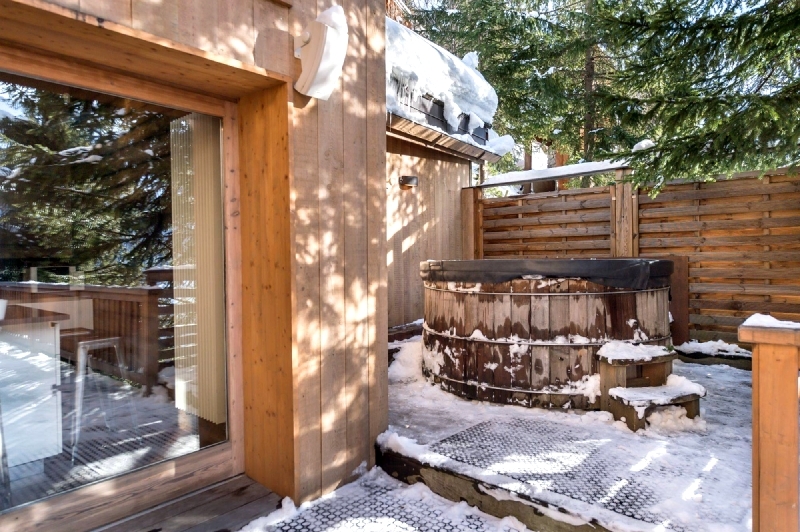 Equipped with a sauna and a trendy outdoor Nordic bath there are superb views of the mountains and the valley. 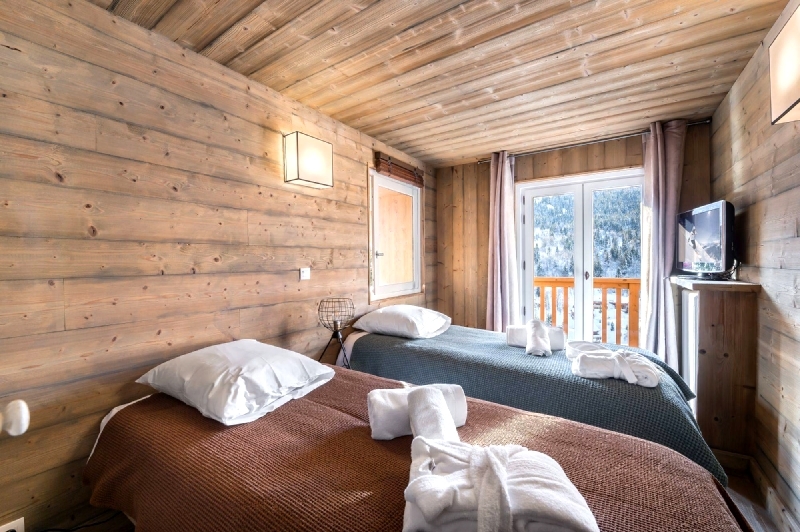 It is ideal for a large group or a number of families getting together for a special skiing holiday, the high-quality facilities will delight young and old alike. 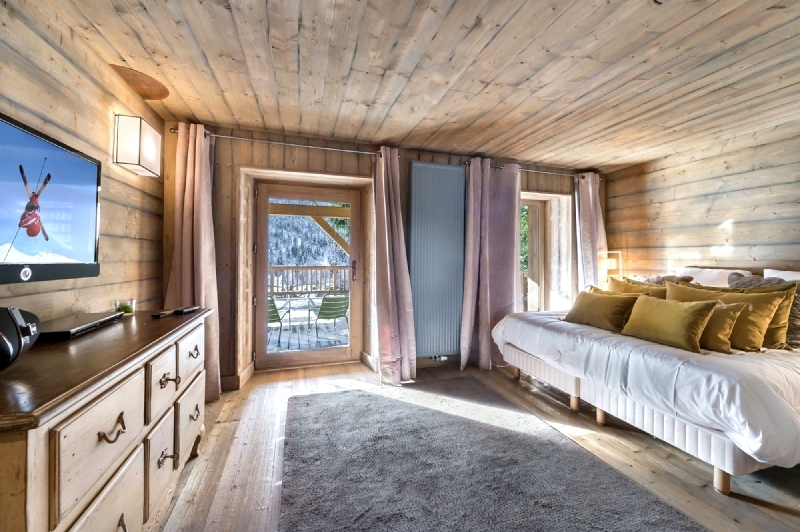 Chalet accommodation covering 400 m² on 4 floors for 15 people, 8 bedrooms (with some flexible bed arrangements possible), 8 bath/shower rooms, wifi. Breakfast service included. 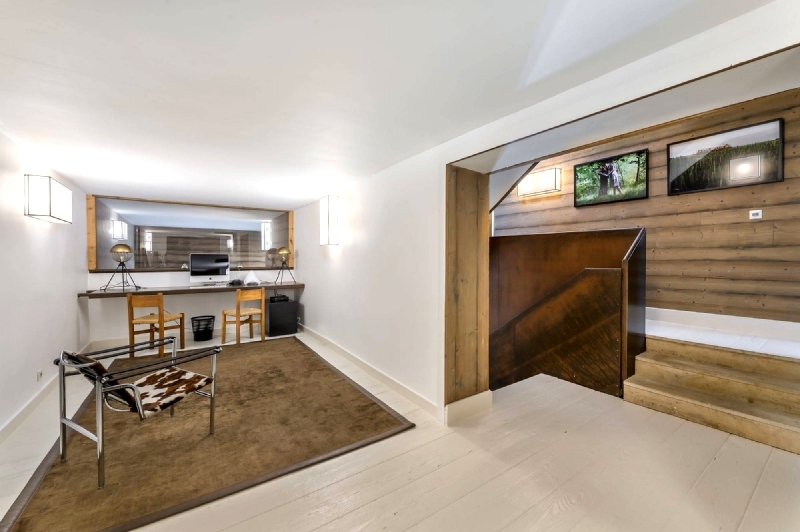 The ground floor has a living area with access to a well-exposed terrace with garden furniture. 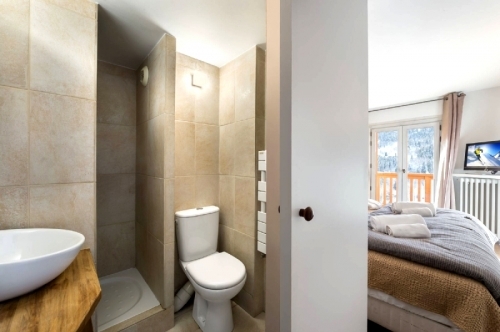 Twin bedroom (two 90 cm x 200 beds) with en-suite bathroom and toilet. 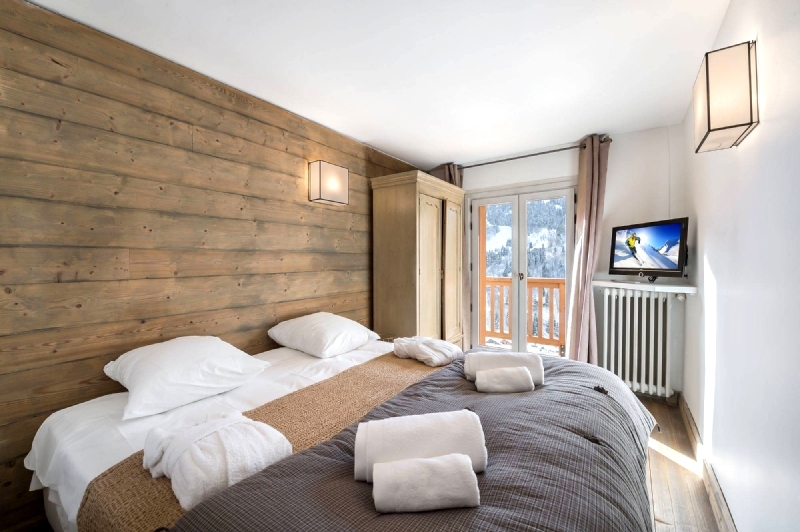 Another twin bedroom (two 90 cm x 200 beds which can convert to a double if required) with television and DVD player, terrace and en-suite bathroom and toilet. Double bedroom (which can convert to two single beds if required) with television, Blue-ray DVD player, terrace and en-suite bathroom and toilet. Separate toilet. The first floor has a leisure area with a sauna and outdoors Nordic bath. Big living and dining room with fireplace and television, opening onto the patio terrace. Fully equipped kitchen (with dishwasher, induction hob, oven, refrigerator etc.). The second floor has a study area. 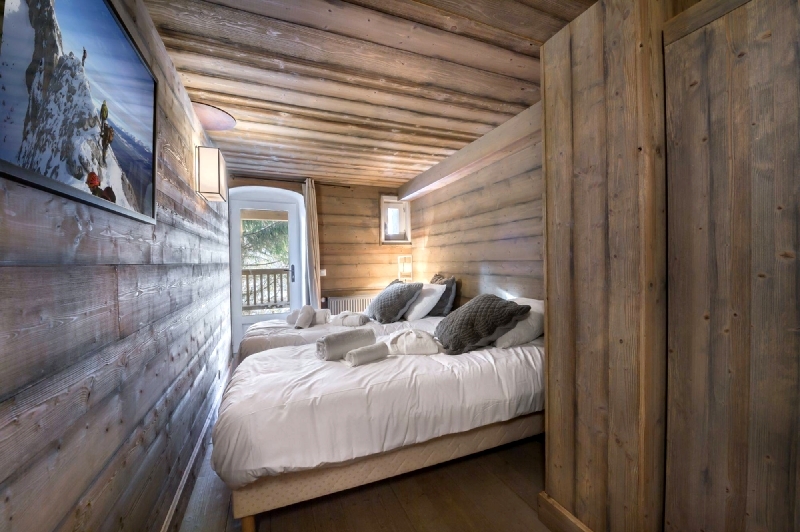 Twin bedroom (two 90 cm x 200 beds) with television, balcony and en-suite bathroom and toilet. 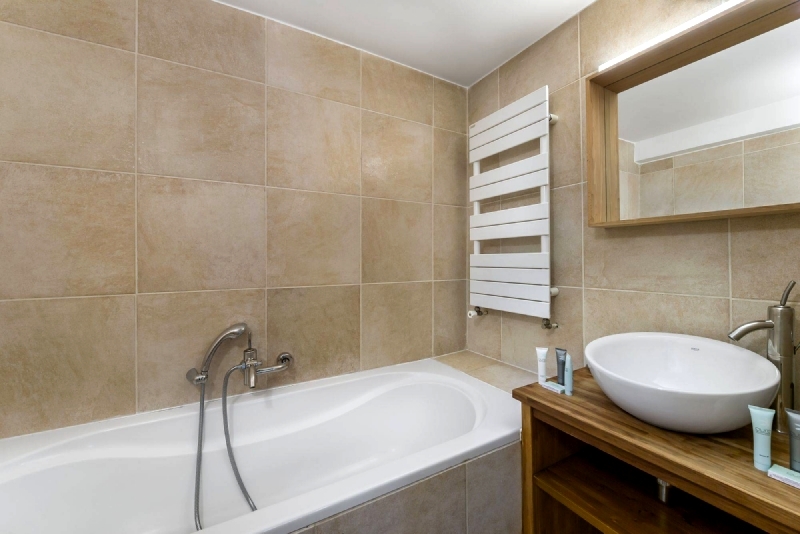 Double bedroom (180 x 200 bed which can divide to form two 90 x 200 beds if required) with television, blue ray DVD player and en-suite shower room and toilet. 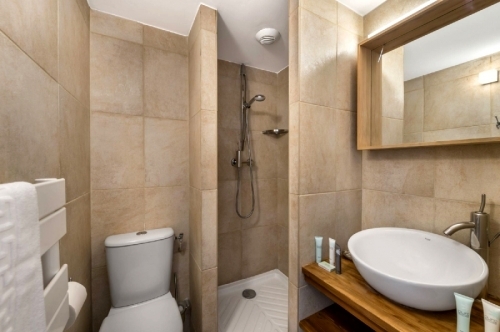 Twin bedroom (two 90 cm x 200 beds) with en-suite shower room and toilet. Double bedroom (180 cm x 200 bed which can divide into two 90 cm x 200 beds if required) with en-suite bathroom and toilet. Entrance and skis and boots room. 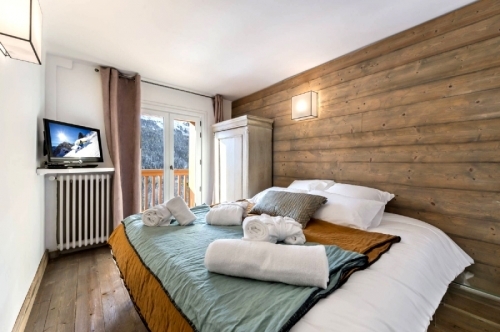 The third floor has a master double bedroom (160 cm x 200 bed) with television and open bathroom with an island bath, twin sinks, shower, hairdryer and independent toilet, the room is lovely and light and there are superb views of the mountains which can be appreciated even more from the balcony. 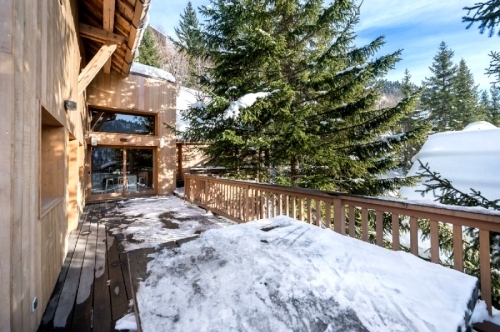 The nearest ski slope is the Foret 250 metres. 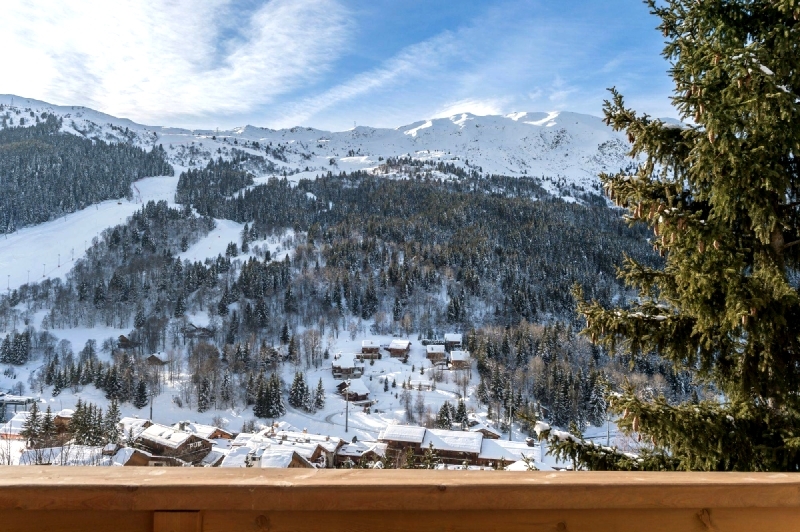 The nearest ski lift s the Adret 600 metres. 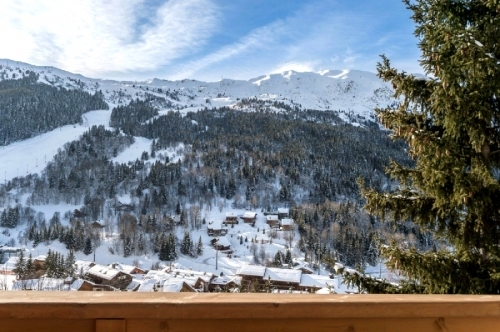 Ski school 650 metres. 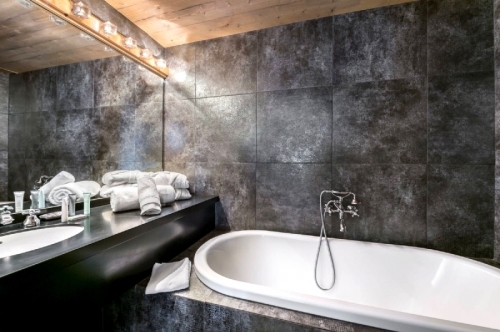 Chambery airport 100 km. 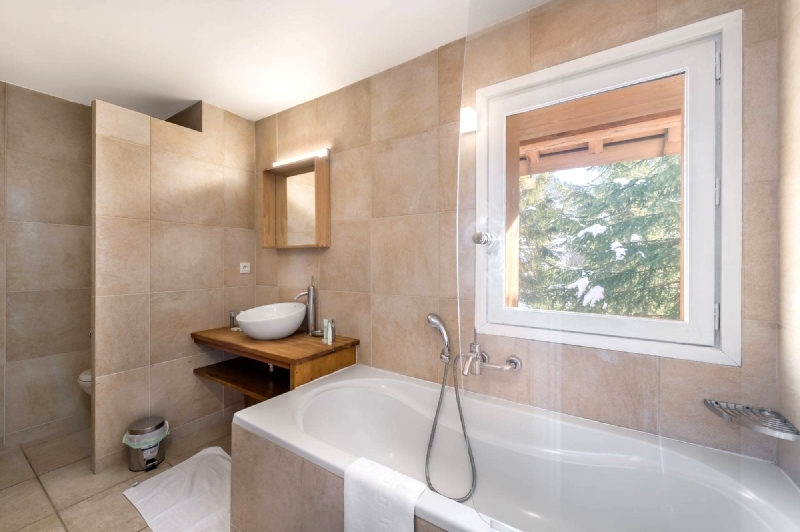 Geneva airport 180 km. 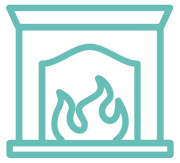 Lyon airport 180 km. Moutiers railway station 20 km. Basket of essentials on arrival: Dishwasher tablets, sponge, multi-surface products, etc. 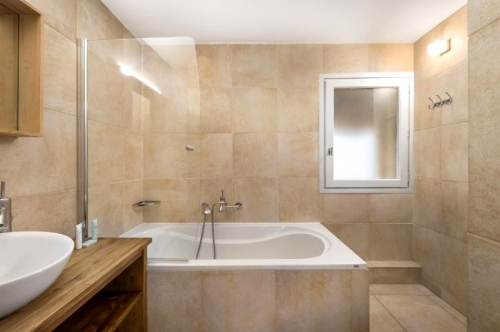 Security deposit 5000 euros payable by card slip (not cashed unless required).